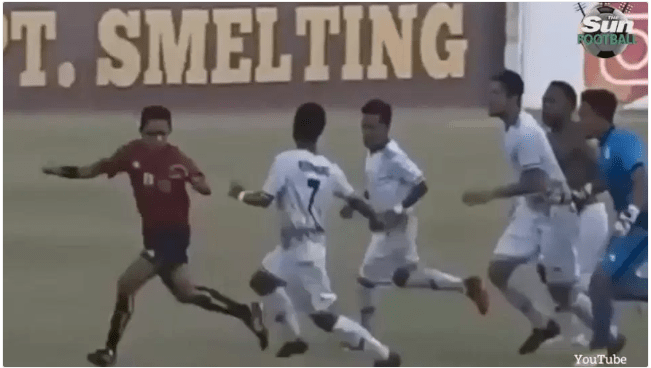 A referee was brutally attacked and chased off a pitch after an Indonesian league game descended into chaos. 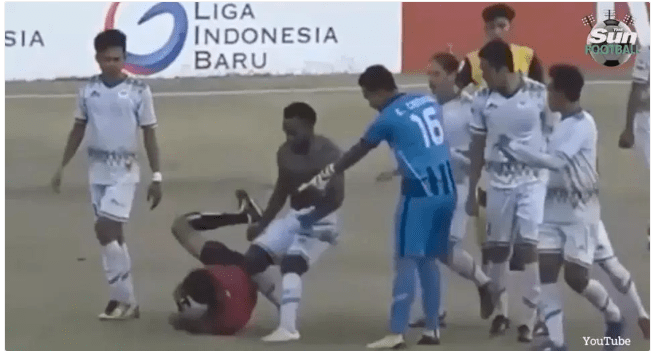 The startling scenes took place during Peregres Gresik United’s game against Persiwa Wamena in Liga 2. 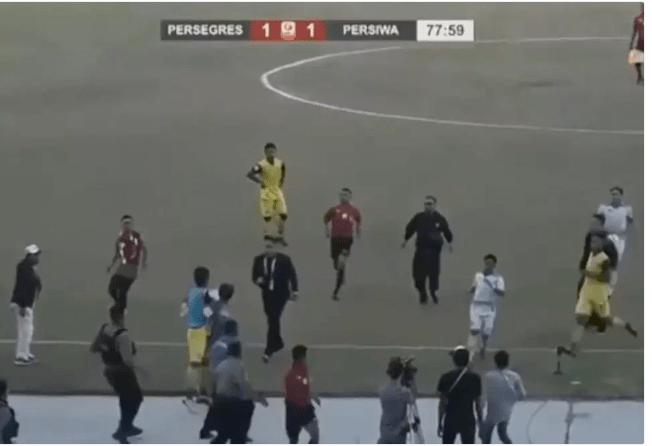 Violence erupted when the referee, named as Abdul Razak in local media, awarded a penalty for an innocuous challenge. One removed his shirt as he pursued the match official. Players started shoving the referee and then began throwing punches and kicks at him, according to local media. He eventually escapes and runs off the pitch – but, incredibly, he returns to resume the game. No sanctions have been placed on either club yet.